I have realized that any foundation I have for being a successful hostess is thanks to my Mom, because she is the best. We have a large immediate and extended family. Gatherings for our immediate family regularly average about 15 people and extended family gatherings up to 40+ people. Mom has played the part of hostess for everything from Holiday dinners of every sort, to graduation parties and even picnics served out of the back of their SUV for our family canoe & tubing trips. Even on a whim for a regular evening meal, she has always been willing to make accommodations for extra last-minute friends or family members. 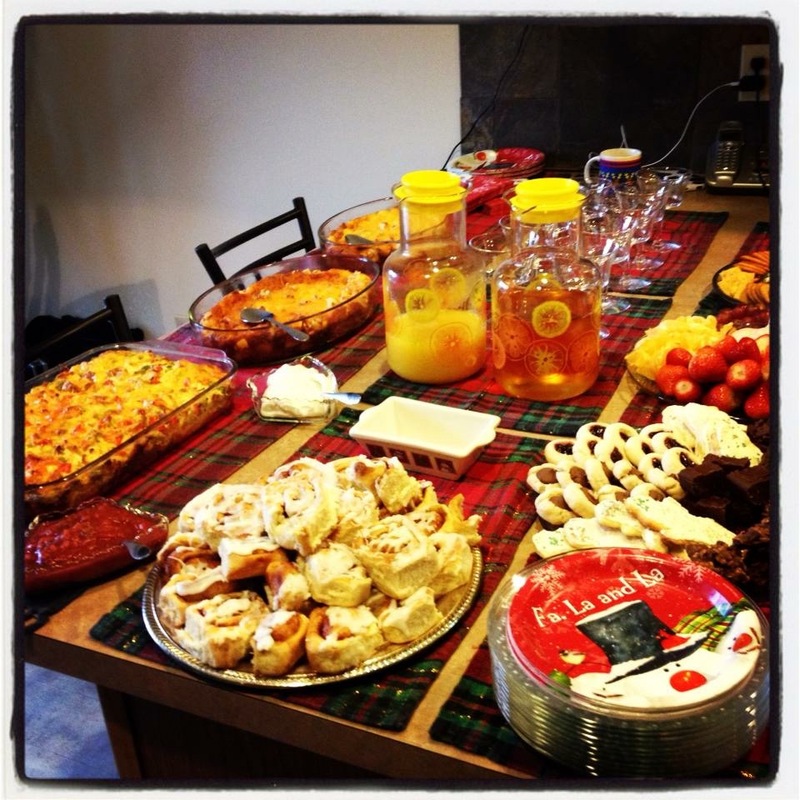 Mom exemplifies the concept of “the more the merrier” mentality and embodies what it means is to be a gracious hostess. Plan & prep ahead: I think this is of the utmost importance. Mom is a list maker (so thankful I got that from her) and she starts by making a list of what she plans on serving and then follows with a grocery list for ingredients needed. She starts this process sometimes weeks in advance, and usually shops at least a few days in advance so everything is on hand. Mom does any prep work possible before the day of the meal of the event. This may include browning meat, chopping vegetables, baking cookies, etc. The more that can be done ahead of time the better, this helps cut down on the potential of any last minute stress. Keep it simple: Everything Mom serves is delicious without having to be too fancy or complicated. She makes a point to have a variety of things so that every person will have something they will like. Depending on the meal, she usually has a mix of sweet & savory dishes, and incorporates fruits & veggies whenever possible. Due to the size of our family, the most practical way to serve such a large group is usually to have a buffet full of things that can be dished out & enjoyed easily. 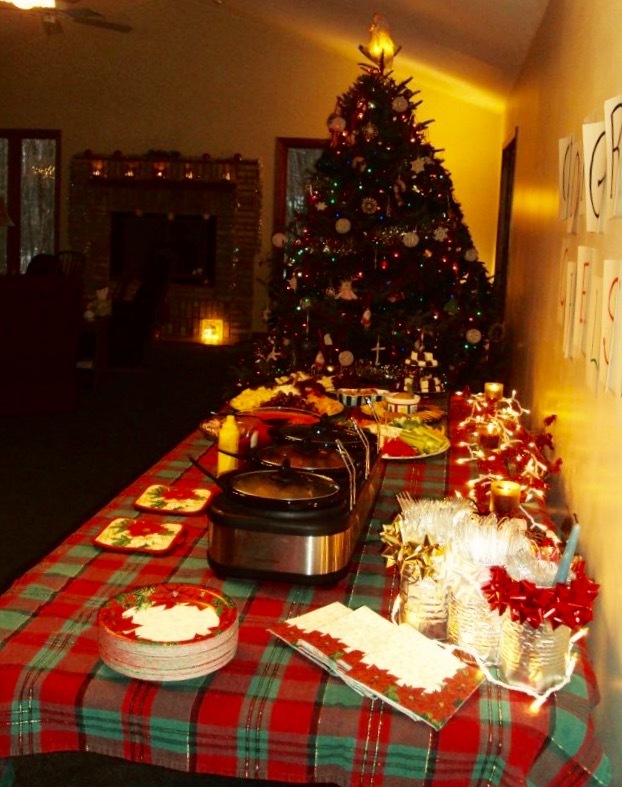 An added benefit to serving buffet style is that once everything is set out everyone can serve themselves and she can enjoy time visiting with everyone. Details make a difference: Even for a buffet style meal like mentioned above, Mom doesn’t forget the details. She still serves on nice trays and dishes and also coordinates matching paper products to fit the occasion. These may seem like small gestures but they add a special touch that doesn’t go unnoticed. Remember favorites/allergies: There are certain family favorites that Mom includes time and again, and they have become tradition. 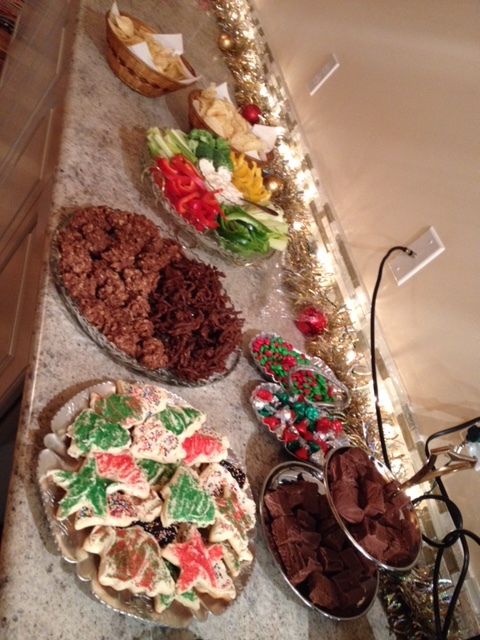 (Some of ours include Grace’s jello salad & cheese-ball, monster cookies, Dad’s rolls, haystacks, etc.) Also, she makes minor adjustments to certain dishes due to a food allergy in our family so no one has to miss out. Enlist help when needed/available: Mom always found a way to involve me when I wanted to help. She would have me set the table or arrange the cookie display, anything I could handle. Dad has also always been more than willing to help shred, chop, stir where needed. Let me just say, he is an equally admirable host. The two of them operate like a well-oiled machine when it comes to serving large groups. I wholeheartedly believe that my love for entertaining and striving to be a good hostess, stems from my Mom. She makes it seem effortless, even when I know it is not, and truly enjoys herself and her family in the process. Enjoying each other is really what it is all about, and we appreciate her for always making it special. Happy Birthday Mom, Love you lots!